Help!! 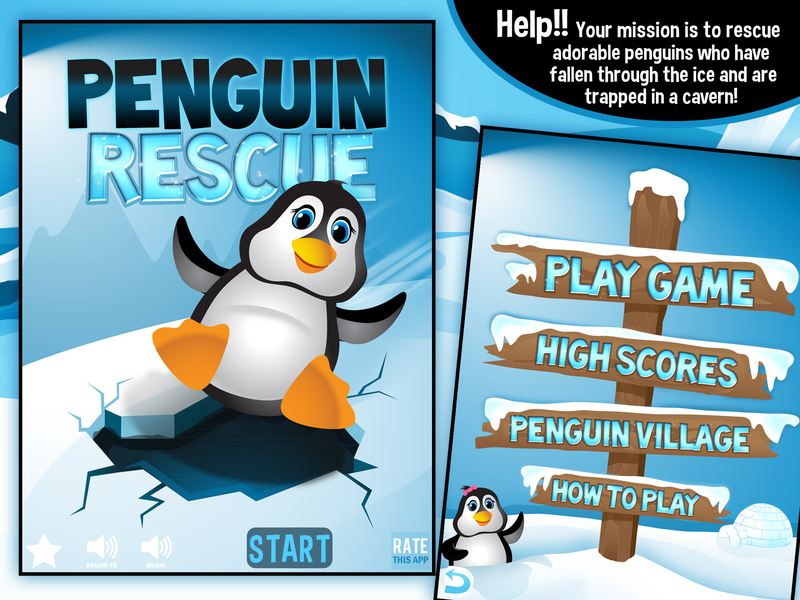 Your mission is to rescue adorable penguins that have fallen through the ice! They keep getting trapped inside an ice cavern with no way to escape. 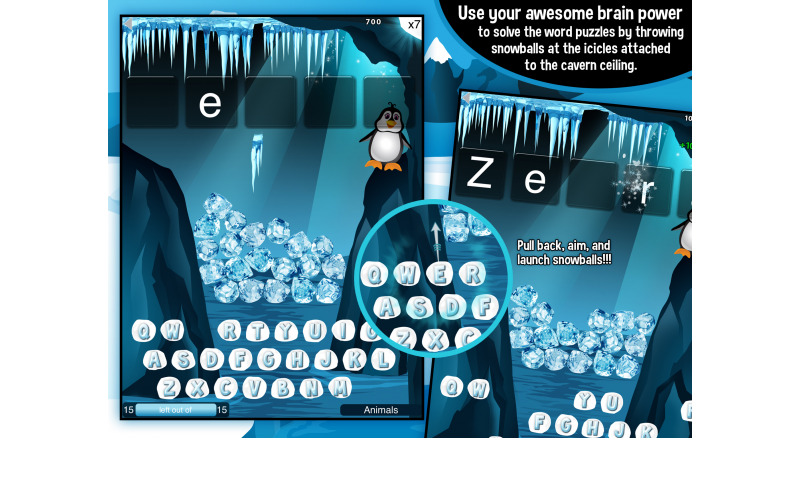 Use your awesome brain power to solve the word puzzles by throwing snowballs at the icicles attached to the cavern ceiling. 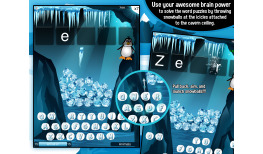 Solve the word and all the ice blocks will break!! 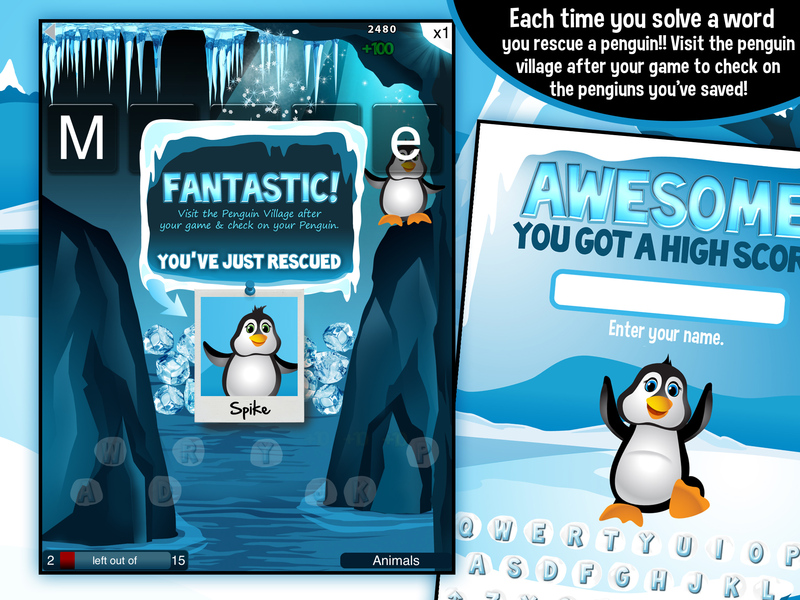 Your penguin can now reach the water and swim out to safety. 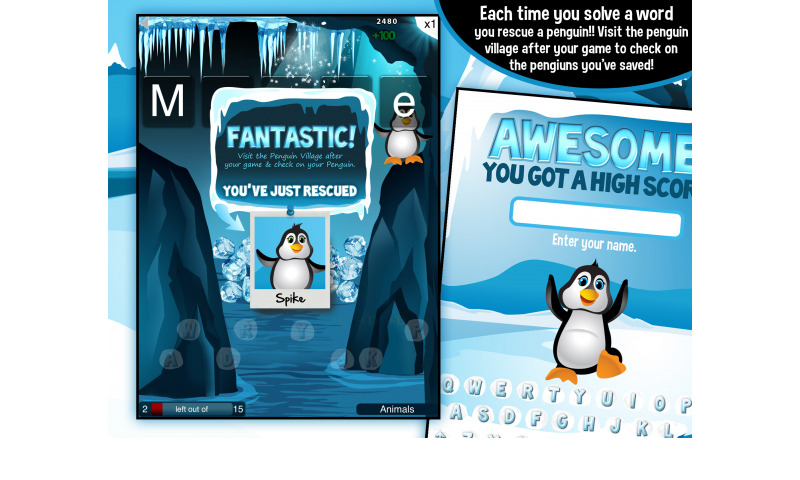 The fewer tries you take to complete the word, the more points you earn!! 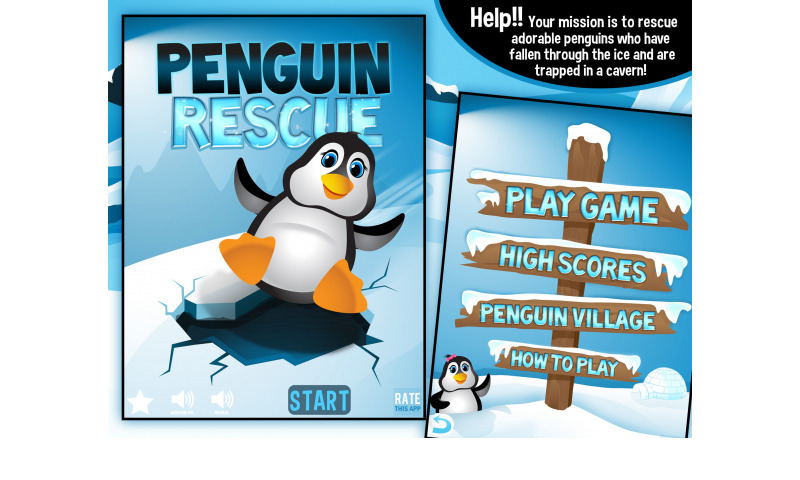 Each round you play helps rescue penguins - so keep playing to build up your score and be a total hero! 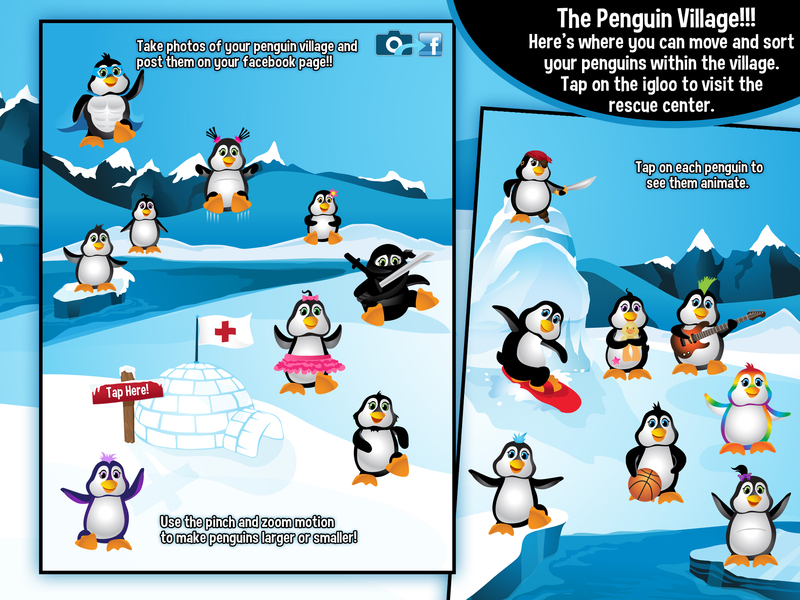 Visit the penguin village to see all the silly penguins you’ve rescued! Tap on them to see their individual personalities come to life, move them around and position them where you’d like to within the village. 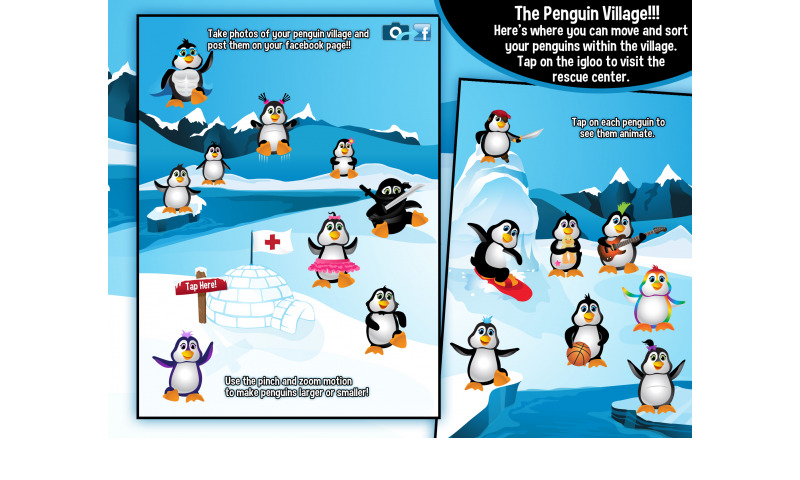 You can use the pinch and zoom motion to resize the penguins and make them larger or smaller. 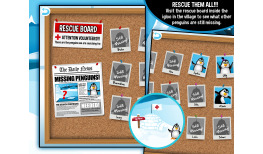 Don’t forget to stop by the rescue center igloo and check the message photo board to see which penguins you have rescued and what ones are still missing and need your help! Challenge yourself to beat your top score! 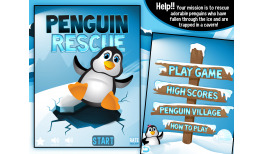 And hurry - RESCUE THOSE PENGUINS!!! Select from multiple categories or just choose “random” for an even more challenging game! 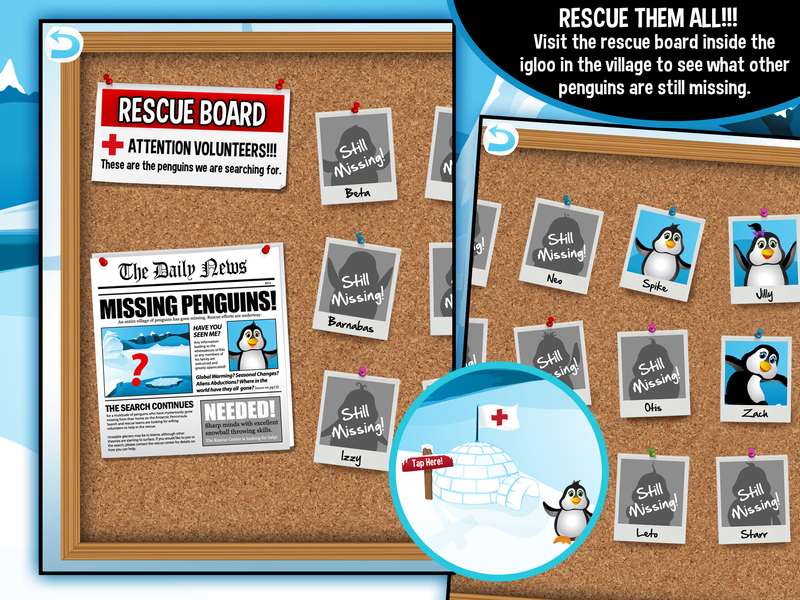 Rescue and collect all the penguins! The more you play the more chances you have to save all of them. 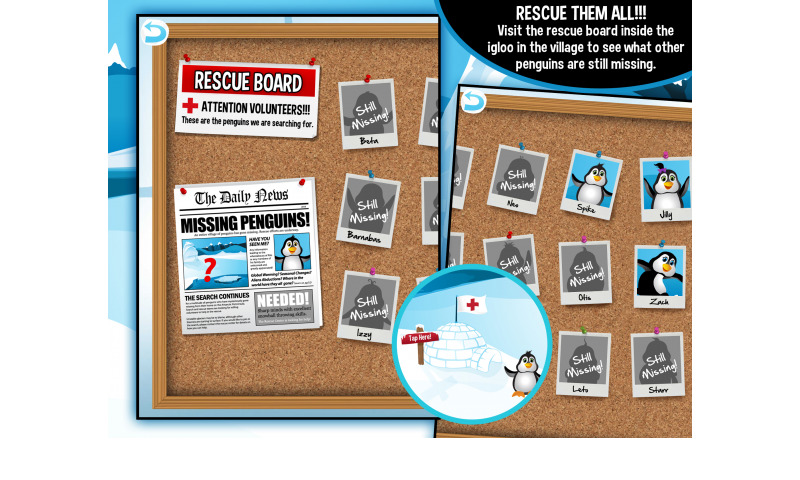 Visit the rescue center, located inside the igloo in the Penguin Village, to see a photo board of all the penguins that need your help! 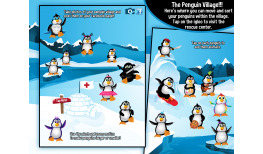 Move, tap, organize, and watch your penguins animate inside the Penguin Village. Use the pinch/zoom motion to resize them!! 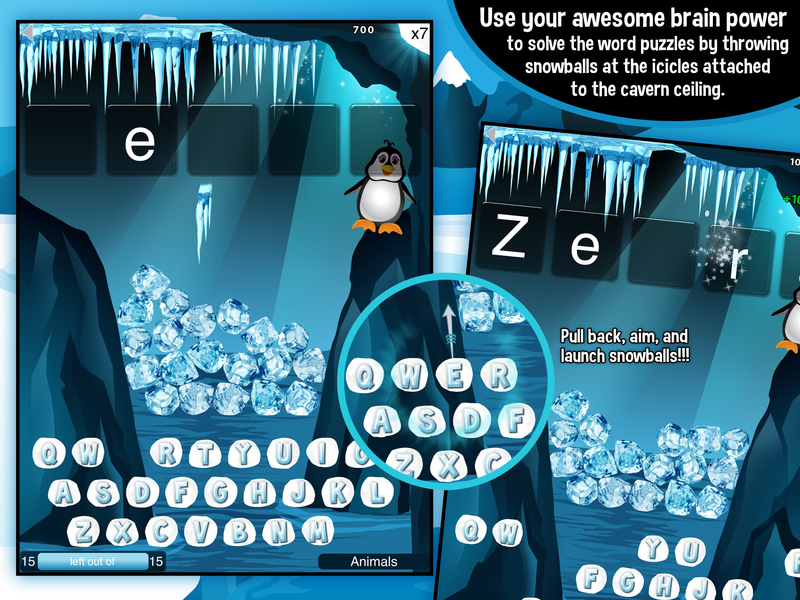 Word puzzles get progressively harder as you answer more and more correctly. Challenge yourself to see how many you can answer consecutively!